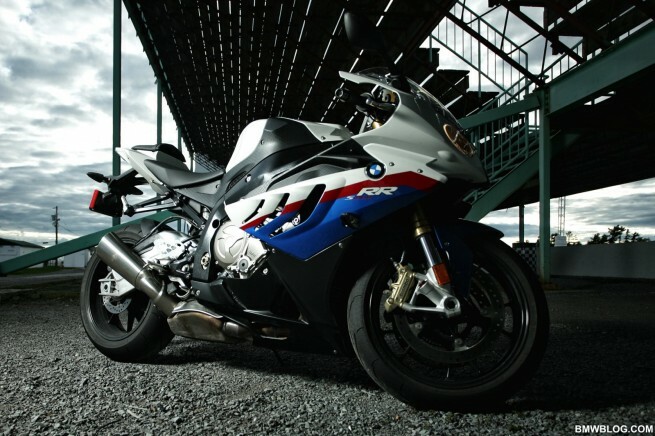 After pioneering the concept of antilock brakes (ABS) on motorcycles 23 years ago, BMW Motorrad USA announced today that it will be the first motorcycle manufacturer to offer ABS as standard equipment on its entire range of 2012 model year motorcycles. According to IIHS, many factors contribute to motorcycle crashes, but improper braking was identified as a major pre-impact factor in a study of motorcycle crashes. When brakes are applied too gently, the rider risks colliding with the obstacle. If brakes are applied too hard, the wheels can lock and cause an overturn. ABS is crash avoidance technology, meaning it helps reduce brake pressure by detecting an impending lockup and then increasing the pressure again when wheel traction is restored. Brake pressure is evaluated by a sensor multiple times per second, so riders may brake fully in a straight line without fear of locking up. Many law enforcement agencies, including the California Highway Patrol, concluded after testing that ABS reduced the number and severity of accidents and now mandate them on their police motorcycles. Internationally, BMW is the largest seller of motorcycles for law enforcement use. More than 80,000 BMW police motorcycles are currently in official use in over 150 countries on five continents. In the United States, more than 225 law enforcement agencies have BMW police motorcycles in their fleets of patrol vehicles. BMW was the first motorcycle manufacturer to introduce ABS in 1988 and now offers a sixth generation and numerous ABS options across its product line, including a system that can be switched off for off-road or track use. Rider skill training is a key element to motorcycle safety. The latest Motorcycle Industry Council (MIC) Owner Survey found that fewer than 50 percent of riders have taken formal rider education and training such as the Basic RiderCourse offered by the Motorcycle Safety Foundation. BMW offers on- and off-road motorcycle training at the BMW Performance Driving School in Greer, SC.